Who invented the Jet Engine? The name of the person credited with inventing the Jet Engine is Frank Whittle (1907 - 1996). Frank Whittle is not only famous as the English inventor of the Jet Engine but also as a Test Pilot, engineer and an officer in the Royal Air Force (RAF). When was the Jet Engine invented? Frank Whittle invented the Jet Engine in 1930, during the Interwar period of invention (1918 - 1939). Definition of the Jet Engine: The Jet Engine is defined as an engine, such as that of an aircraft, that produces forward motion (thrust) by the rearward exhaust of a jet of fluid or heated air and gases (jet propulsion). The advantage of the jet engine is its efficiency at high altitudes and its ability to reach high speeds (especially supersonic speeds). Jet engines, which are used in turbojets, ramjets, scramjets, pulse jets, pump-jets, turbofans and rockets, discharge a high velocity jet of gas to generate thrust in accordance with Newton's laws of motion. Newton's Laws of Motion: Jet engines discharge a high velocity jet of gas to generate thrust in accordance with Newton's laws of motion. Sir Isaac Newton (1642 - 1726) was one of the world's greatest scientists. In 1686, he compiled his three laws of motion, which were used 300 years later when the jet engine was invented. But what are Newton's laws of motion? Definition of Newton's laws of motion - Newton's First Law of Motion: Sir Isaac Newton's First Law of Motion, also referred to as the law of inertia, states that every object moves in a straight line unless acted upon by a force. Definition of Newton's laws of motion - Newton's Second Law of Motion: Sir Isaac Newton's Second Law of Motion PROVIDES an exact relationship between force, mass, and acceleration that is expressed by the mathematical equation: F=MA or FORCE = MASS times ACCELERATION. Definition of Newton's laws of motion - Newton's Third Law of Motion: Sir Isaac Newton's Third Law of Motion is that for every action there is an equal and opposite re-action. Newton's Third Law of Motion can be illustrated in respect of a rocket. The action of a rocket is to push down on the ground with the force of its powerful engines, and the reaction is that the ground pushes the rocket upwards with an equal force. Who invented the Jet Engine? Frank Whittle invented the Jet Engine in 1930 using Sir Isaac Newton's Three Laws of Motion. Fact 1: Who invented the Jet Engine? Prior to the invention of the Jet Engine by Frank Whittle in 1930, traditional piston engines were used for aircraft. Fact 2: Who invented the Jet Engine? What is the difference between a jet engine and a piston engine? A Jet Engine is more complex than a piston engine. A Jet Engine is powered by fuel and air to power constantly spinning turbine blades, whereas a piston engine uses fuel to move pistons through a four stroke engine. Fact 3: Who invented the Jet Engine? Before the invention of the Jet Engine aeronautical engineers believed that airplane speeds had reached their limit. The invention of the Jet Engine increased both the power and speed of aircraft. Fact 4: Who invented the Jet Engine? The Jet Engine was invented by Frank Whittle in 1930 during the Interwar Era of inventions (1918 - 1939). Fact 5: Who invented the Jet Engine? A German physicist called Hans von Ohain (1911 - 1998) also began to independently develop turbojet designs during roughly the same period as Frank Whittle but Ohain started 7 years after Whittle had patented his design in 1930. Hans von Ohain is credited as the designer of the first operational jet engine, not as its inventor. Fact 6: Who invented the Jet Engine? The inventor of the Jet Engine, Frank Whittle, was born on June 1, 1907 in Earlsdon, Coventry, England, UK and died on August 9, 1996. Fact 7: Who invented the Jet Engine? The early years of Frank Whittle were spent in Earlsdon, Coventry, England where he was raised by his family. His father, Moses Whittle, was a mechanic and instilled a love of engines and other machinery in his son. Frank developed an aptitude for engineering and a great interest in aviation and airplanes, which had only just been invented. Fact 8: Who invented the Jet Engine? Frank Whittle was educated at Milverton School and Leamington College for Boys. In 1923, when he was 15 years old, he passed the entrance examination for the Royal Air Force (RAF) but failed the physical due to his height (he was just 5 foot at the time) and for his small chest and slight physique. Fact 9: Who invented the Jet Engine? Frank Whittle was a determined young man and undertook a rigorous exercise routine to build up his frame. After two more attempts he managed to at last be accepted by the RAF. Fact 10: Who invented the Jet Engine? Frank Whittle began his 3-year training as an aircraft mechanic in No. 1 Squadron at RAF Cranwell in Sleaford, Lincolnshire. Fact 11: Who invented the Jet Engine? At the age of 21 years old Frank Whittle qualified as a pilot officer in 1928. During his training he had written a thesis in which he argued that planes needed to fly at high altitudes, where air resistance is much lower, in order to achieve high speeds and long ranges. Fact 12: Who invented the Jet Engine? His thesis won the Andy Fellowes Memorial Prize for Aeronautical Sciences and began a journey that would ultimately lead him to the invention of the Jet Engine. Fact 13: Who invented the Jet Engine? His research had led him to believe that conventional piston engines and propellers used for aircraft were unsuitable for this purpose, concluding that rocket propulsion or gas turbines driving propellers would be required. Fact 14: Who invented the Jet Engine? He designed what is now referred to as a motorjet that used an ordinary piston engine which instead of driving a propeller, it drove a compressor. His Motorjet engine provided greater thrust than a propeller alone mounted on a piston engine. Fact 15: Who invented the Jet Engine? The Air Ministry turned Frank Whittle's idea down so, undaunted, he submitted his first patent in 1930 for a two- stage axial compressor feeding a single- sided centrifugal compressor. The patent was subsequently granted in 1932. Frank Whittle married, Dorothy Mary Lee in 1930 and the couple went on to have two sons. Fact 16: Who invented the Jet Engine? Frank Whittle attended the Officers’ Engineering Course at Henlow in 1932 and heavily involved in the design of his first turbo-jet engine, the WU (Whittle Unit). His excellent marks on the course resulted in the RAF deciding to send him to Cambridge University to take a Mechanical Sciences Tripos for a a bachelor's degree in engineering. Fact 16: Who invented the Jet Engine? Although the RAF were impressed with Frank Whittle, they were indifferent to his ideas regarding his turbo-jet engine. A friend of Whittle, and former Cranwell cadet, called R Dudley Williams persuaded Frank to raise private capital to develop his ideas for the jet engine. Fact 17: Who invented the Jet Engine? In November 1935, Frank Whittle secured financial backing for his ideas and, with the approval of the RAF, founded Power Jets Ltd for the purpose of designing and manufacturing jet engines. Fact 18: Who invented the Jet Engine? Frank Whittle had his first engine running in April 1937 but the project was beset with various technical problems which he and his team eventually resolved. By this time their were concerns regarding Germany and WW2 (1939 - 1945) broke out. Fact 19: Who invented the Jet Engine? Frank Whittle's new test engine began to look extremely useful and in 1940 the Air Ministry began to provide him with the much needed money for his project. Fact 20: Who invented the Jet Engine? In 1941, a flyable version of Frank Whittle's jet engine was fitted to the Gloster E28/39 airframe that had been specially built for the test. The jet propelled airplane first flew on May 15, 1941 at RAF Cranwell. Fact 21: Who invented the Jet Engine? News of Frank Whittle's invention reached the United States who requested a top secret meeting in Washington with Frank Whittle's company, Power Jets Ltd. Fact 23: Who invented the Jet Engine? 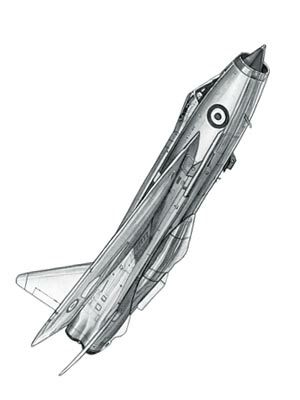 The Frank Whittle W.2/700 turbojet engine flew in the Gloster E.28/39 (also referred to as the "Gloster Whittle"), the first British aircraft to fly with a turbojet engine. Fact 24: Who invented the Jet Engine? The ground-breaking turbojet engines were then installed in the Gloster Meteor, the first British jet fighter and the Allies' only jet aircraft to achieve combat operations during WW2. The Gloster Meteor aircraft commenced operations on 27 July 1944 with the RAF 616 Squadron. Fact 25: Who invented the Jet Engine? Frank Whittle was promoted to Air Commodore in 1944 and remained in the RAF until 1948 when he was forced to retire due to ill-health. Fact 26: Who invented the Jet Engine? On November 7, 1945, the first official air speed record by a jet aircraft was set by a Meteor F.3 of 606 miles per hour (975 km/h). Fact 27: Who invented the Jet Engine? Frank Whittle was awarded an ex-gratia sum of £100,000 (the equivalent to over 3 million pounds today) by the Royal Commission on Awards to Inventors in 1948. He received the honor of a knighthood in the same year. Fact 28: Who invented the Jet Engine? Jet aircraft were commercially successful as they were able to fly much higher, faster, and farther than older piston powered engines making much of the world accessible within a single day's travel for the very first time. Fact 29: Who invented the Jet Engine? In 1976 his marriage to Dorothy Mary Lee was dissolved and in the same year Sir Frank Whittle married American Hazel Hall. Fact 30: Who invented the Jet Engine? Sir Frank Whittle emigrated to the United States in 1977 and became a member of the Faculty of the Naval Academy, Annapolis, Maryland. Fact 32: Who invented the Jet Engine? Sir Frank Whittle published two books; Jet (1953), and Gas Turbine Aero-Thermodynamics (1981). Sir Frank died on August 9, 1996 aged 89 years old and will be remembered as the British inventor of the Jet Engine. Who Invented the Jet Engine - Sir Frank Whittle - Inventor - Invention - Jet Engine Definition - Meaning - Famous - Important - History - Timeline - Innovation - Significant - Development of the Jet Engine - Jet Engine - First - Definition - Kids - Facts - Information - Info - Who invented the Jet Engine - Dates - When - Why - Impact - Purpose - Use - New - Old - Amazing - Best - Definition - Meaning - Awesome - Cool - English - Jet Engine History - Timeline - Who Invented the Jet Engine?